I’m organising a blogging workshop for some old besties, and hopefully some soon to-be besties. We have: great venue, a hands-on learning of how to blog better, and how to start blogging, and a goodie bag that is filling up by the hour (think haircare and nail products). It’s all about the goodie bags! A massive thanks to the awesome Lexie Beswick for designing the invite! 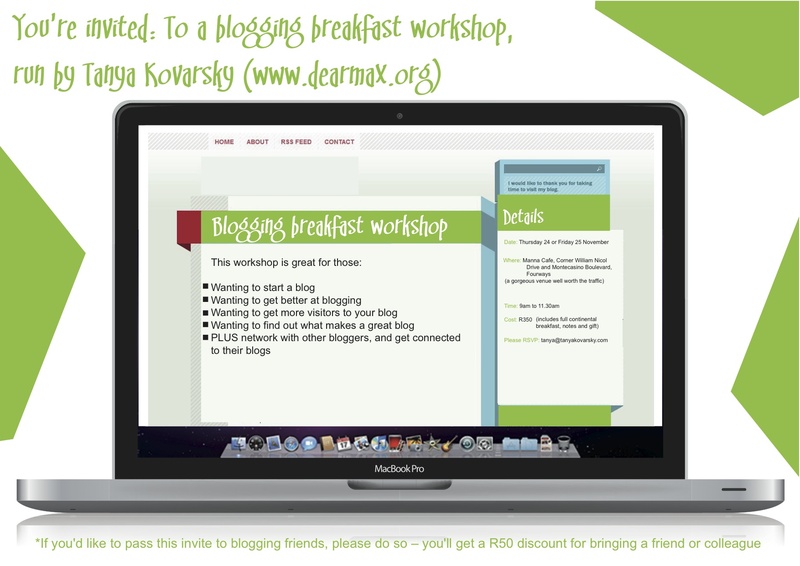 Hi Tanya, I would love to attend…how do i go about attending the workshop? Any chance there’s a ‘Skype me in’ option for us non Joburg peeps! All the fun stuff always happens in Joburg!!! Do you have any places left for peeps that didn’t receive an invite? I’d LOVE to attend depending on cost. I’m an aspiring blogger.